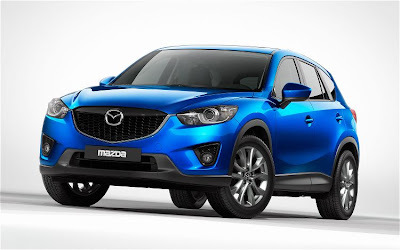 The Mazda CX-5 marks the dawning of a new era for Mazda. It is the first of a new generation of vehicles, a compact crossover SUV that embodies a balance between the best of all worlds: fun, safety and sustainability, all in a very compelling package. The Mazda CX-5 symbolises the latest advancement to the company's focus on Jinba Ittai, the feeling of oneness between car and driver known from the legendary MX-5. As the first Mazda to feature the entire range of brand-new SKYACTIV technology for more efficient, more fun and more environmentally-friendly lightweight cars, the Mazda CX-5 paves the way for a new generation of Mazda vehicles. Developed using Mazda's distinctive breakthrough approach to vehicle design, engineering and manufacturing, SKYACTIV's creators successfully resolved conflicting objectives to come up with a line of engines, transmissions, bodies and chassis that offer customers a new level of value. Developers of this special new model focused on four key values. 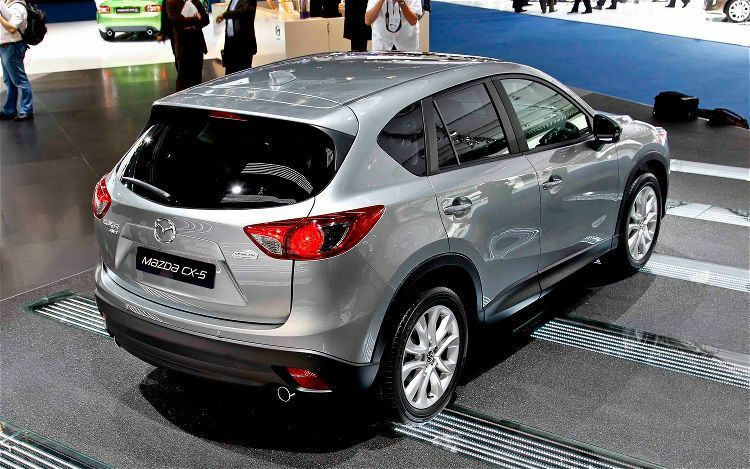 Hence the Mazda CX-5's appealing, emotional design as well as its interior functionality and craftsmanship. Sustainability, too, was a top priority, both in terms of the vehicle's environmental imprint as well as safety. The remarkably responsive yet predictable driving dynamics, finally, were obligatory for Mazda's latest model. The Mazda CX-5's unique SKYACTIV powertrains deliver all the qualities that make a vehicle fun to drive and to own: more torque, better responsiveness and better fuel economy. The latest edition of Sustainable Zoom-Zoom, here is a vehicle that does precisely what the driver wants and reacts exactly as one would expect. What you also get is the fruits of Mazda's lightweight strategy. Looking to reduce the weight of its new generation models by 100 kg, engineers exhaustively sought out optimisation potential, but always with an eye to improving strength and safety. And safe it is: In addition to the outstanding passive safety afforded by a complete body and chassis redesign as one component of the SKYACTIV programme, the Mazda CX-5 features active safety systems previously unheard of in its segment and an extraordinarily good field of view for the driver. 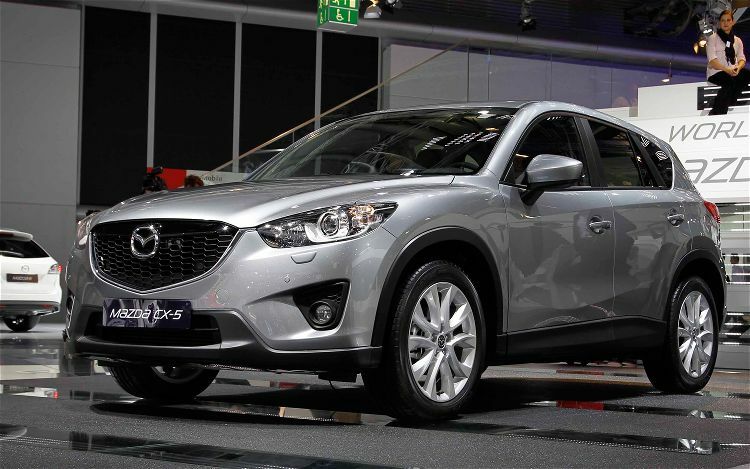 This is just one example of the intelligent design of the CX-5. The basis for Mazda's brand-new look is the company's innovative "KODO - Soul of Motion" design theme, with its bold front face and new signature wing that highlights the redesigned five-point grille. Inside, the roomy, sophisticated cabin clearly testifies to how this car was built for life in today's world. Featuring refreshingly clever Karakuri features, such as the unique 4:2:4 three-way split folding rear seat, and a highly intuitive HMI/infotainment system, the Mazda CX-5 takes convenience and flexibility to a new level. With its interior versatility, its predictable and responsive handling and its class-leading fuel economy and CO2 emissions, the Mazda CX-5 instantly raises the bar for the compact SUV segment in Europe. 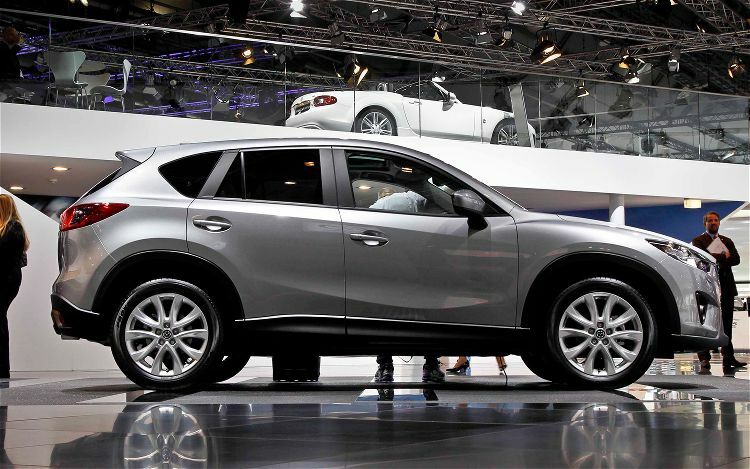 Mazda set out to enter the competitive compact crossover SUV segment with a vehicle that could do more than just look the part. It needed to evoke a level of emotion and driving passion worthy of the Mazda badge. Therefore, the all-new CX-5 is the first production model to feature the company's new "KODO - Soul of Motion" design theme. Inspired by the beauty and power of nature along with the concept of motion, the Mazda CX-5 achieves an outstanding balance between style and performance. KODO was first unveiled in 2010 on the Mazda Shinari, a 4-door sports coupe concept, and then the Mazda Minagi, the compact crossover SUV concept on which the Mazda CX-5 is based. Now, starting with the CX-5, KODO will exemplify the design of a whole new generation of Mazda vehicles: a faster, more forceful and more soulful means of motion. Brimming with vitality, emotion and agility, KODO's essence can be found in the movements of animals. Specifically, Mazda CX-5 designers studied cheetahs - the fastest land animals - observing how they use their entire body as a spring, setting enormous energy into motion with incredible dexterity and grace. Stirred by such beauty, the designers then set out to push the look of an SUV to another level with KODO. One result is a sophisticated exterior that, while expressing SUV sturdiness and functionality, boldly projects an elegant sense of motion - and anticipation of an exhilarating drive.